This Mauve Maxi Dress with Pleated Top and Crochet Detail will have you speechless! The crochet detail and long sleeves are beautiful! Perfect maxi dress for any special occasion. Love it! 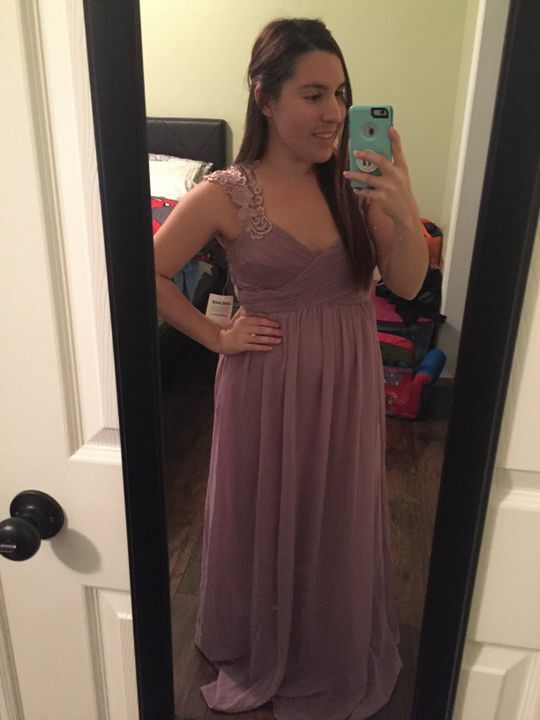 I originally bought it to wear as my wedding dress but I ended up going with a different dress, I still plan to wear this dress for my rehearsal dinner. I love the packaging. I like how the back part is stretchy (I’m currently pregnant) and wasn’t sure of my size so I like how it will fit even as I grow. Angelika K. Reviewed by Angelika K.
I’m currently pregnant and it was hard for me to find a dress that fit me just right until I came across this site! I absolutely love everything about the dress specially the fact that the back it’s strechy so it will keep on fitting as my belly grows! The price is reasonable and the material of the dress it’s amazing!